This month we welcome to the world 8 gorgeous baby rabbits that are proudly owned by Keiron. Millie, Zeke, Hazel, Brindy, Freckles, Bobbie, Yuri and Yoda are all doing well. Rabbits make fantastic pets. They have wonderful, playful personalities and can be a great way to introduce the responsibilities of pet ownership to children. They do require a lot of care and attention, but will be adored by the whole family. Owner Keiron has put together some information regarding what to expect from rabbits when they are young and has kindly share them with us. Rabbits are born in litters of 1-12 with an average of 3-8. Their fur begins to grow straight away. They crawl around for the first 3-4 days. At about 2.5-3 weeks they start nibbling on food. By 3.5 - 4 weeks they are all eating food. Some babies wean off mum as young as 3 weeks of age, while some can continue to drink up to 8 weeks (the average is 4-5 weeks). Rabbits are very sociable creatures. They greet each other nose to nose with the younger ones submitting to the more senior rabbits by bowing their heads or placing their chins on the ground. Once acknowledged they will get up and move. Baby rabbits start grooming very early. Quite often the partake in a grooming chain where 3-4 rabbits will be cleaning each other at the same time. VACCINATIONS: Rabbits are vaccinated against the calicivirus at or after 10 weeks of age. A booster vaccination is then given 4 weeks later and then every 12 months to maintain immunity throughout their lives. Calicivirus and Myxomatosis are diseases that have been introduced in Australia to help control the wild rabbit population. Whilst there is no vaccine to prevent myxomatosis, rabbits should be vaccinated against calicivirus. PARASITE CONTROL: Rabbits can attract fleas. 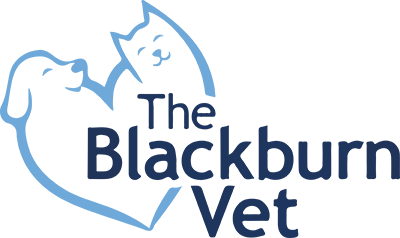 Please speak to our veterinary team so we can recommend the best product for your rabbit. DESEXING: If you are not planning to breed from your pet, desexing is recommended. Desexing your rabbit ensures a calm temperament and reduces the likelihood of some serious diseases. Male and female rabbits are usually desexed between 4-6 months of age. The main reason for desexing female rabbits is the prevention of uterine cancer.